The construction and design community is being challenged to develop a new high-quality, classroom model that can reduce the number of demountable classrooms used in NSW government schools. 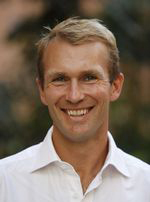 Education Minister Rob Stokes has announced a call for new designs to develop classrooms that are fast to build, cost effective and meet future learning requirements. "We're looking for innovative designs that will deliver high-quality classrooms that are great spaces to learn while remaining flexible for a public education system that guarantees a place at your local school," Stokes said. "We need to be able to construct permanent buildings that are responsive to demand and growth in student populations." An industry briefing to be held this week will encourage creative designs for delivering new types of sustainable and permanent classrooms that meet school and community expectations. The building type must be flexible enough to be customised for individual schools, including school halls and libraries. They could be delivered in multi-storey, multi-classroom blocks. The NSW Government is spending $4.2 billion to deliver more than 120 new and upgraded schools, which will deliver 1500 extra classrooms over the next four years. NSW public schools will require another 7200 permanent classrooms over the next 15 years as enrolment numbers grow.